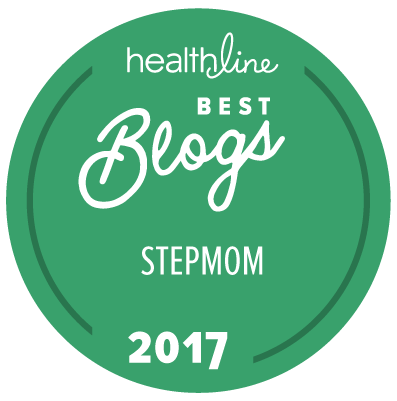 As a mother, one of my biggest fears is getting sick and being unable to care for my kids. I mean, really sick. Like a debilitating sickness or even something that would take my life. If you are a parent, then you know that paralyzing fear of your children having to grow up without you. It pains my heart to think of the things my children would have to do without my support and love. That fear became a reality eight years ago for Heather Von St. James when she was diagnosed with mesothelioma – a rare cancer that kills most people within 2 years of diagnosis. She had just given birth to her daughter Lily and was told she would live on 15 more months. After a life saving surgery which included removal of her left lung, she and her family began celebrating “Lung Leavin’ Day.” This year, on February 2, 2014, they will celebrate their 8th year!!!!! 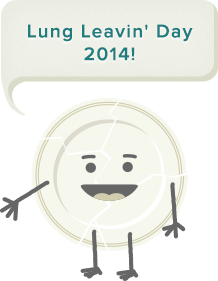 Go read about Lung Leavin’ Day 2014 HERE. The purpose of Lung Leavin’ Day is to encourage others to face their fears. I was touched to hear that each year on Lung Leavin’ Day, they gather around a fire in their backyard with their family and friend. Each of them write their biggest fears on a plate and then they SMASH THE PLATES INTO THE FIRE! They celebrate for those who are no longer with us, for those who continue to fight, for those who are currently going through a tough time in their life, and more importantly, THEY CELEBRATE LIFE!!! Heather’s husband reached out to me to spread the word through my blog about Lung Leavin’ Day 2014. I knew as soon as I read their story, that it could have been MY STORY. And I would like to think that if it were my story, that I would make it play out like they have — by celebrating the gift I have been given while educating others. Please go to Cameron Von St. James’ website and learn more about mesothelioma. May their family continue to be blessed as they continue to be a blessing to others!!! ← Where Is This “Supposed” Boundary Line? How wonderful! That fear has crossed my mind several times. This story is very empowering. Thanks for sharing it and spreading the word.